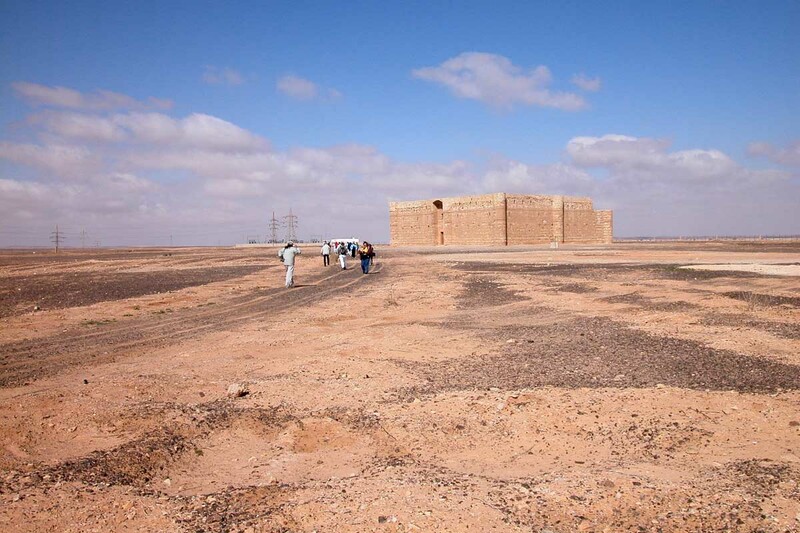 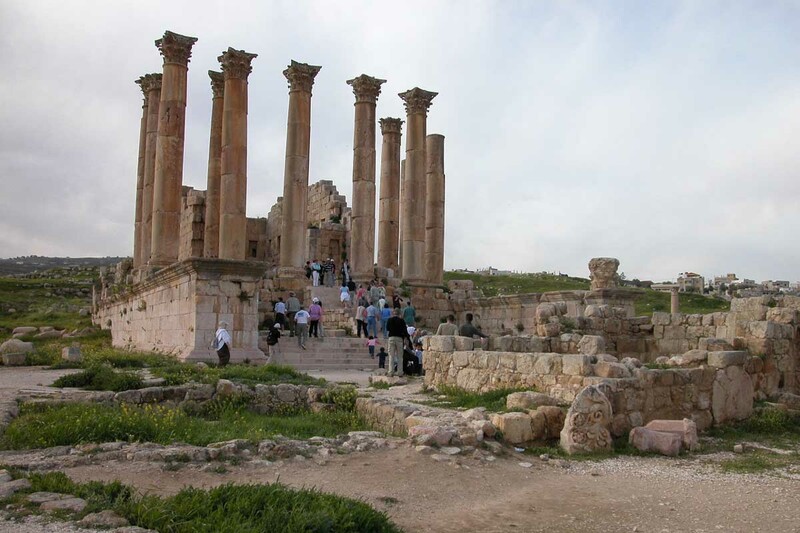 The Hashemite Kingdom of Jordan, which already captivated travellers in ancient times, today enthrals a new generation as a modern, vibrant nation. 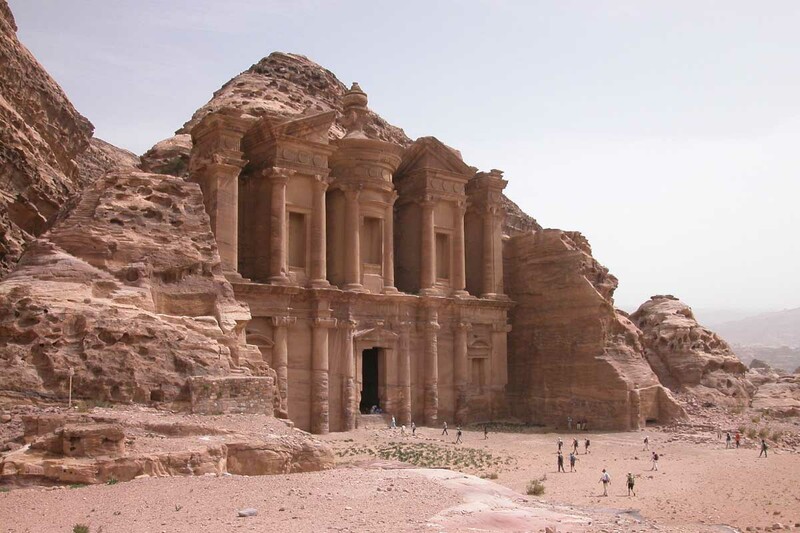 From the awe-inspiring starkness of the monolithic rockscapes of Wadi Rum, to the pulsating centre of Amman, Jordan’s capital; from the majestic ruins of a bygone civilization to the timeless majesty of the Dead Sea, Jordan is a fascinating travel destination. 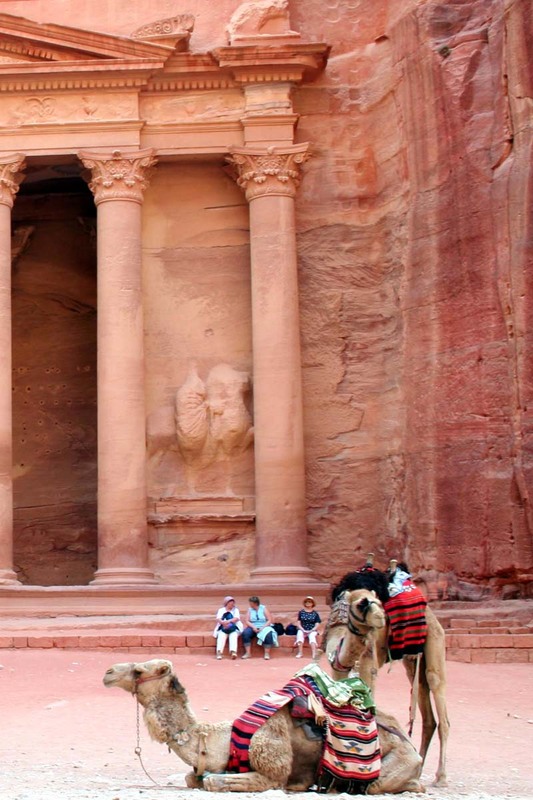 With its multitude of breathtaking and intriguing sightseeing attractions, top-class hotels, aromatic cuisine and countless activities, the traveller is spoilt for choice between inspiration, rest & relaxation and adventure. 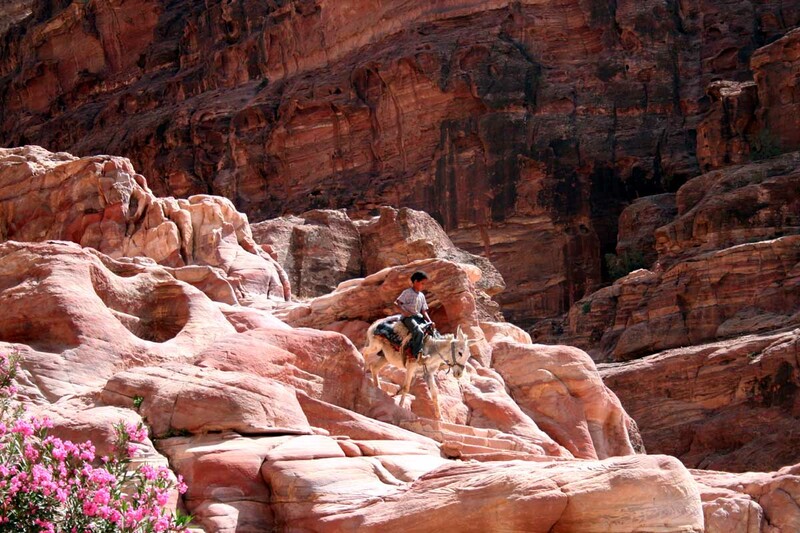 Marvelling at herds of gazelles, oryx antelopes and migratory birds, camping in the impressive landscape of Wadi Rum or the Dana nature reserve, trekking along ancient caravan routes in the mountains of Moabs and Edoms, hiking in the forested hills of biblical Gilied or experiencing the unforgettable cleansing effects of the Dead Sea mud baths: just a few examples of the treasure trove that awaits visitors to this extraordinary kingdom. 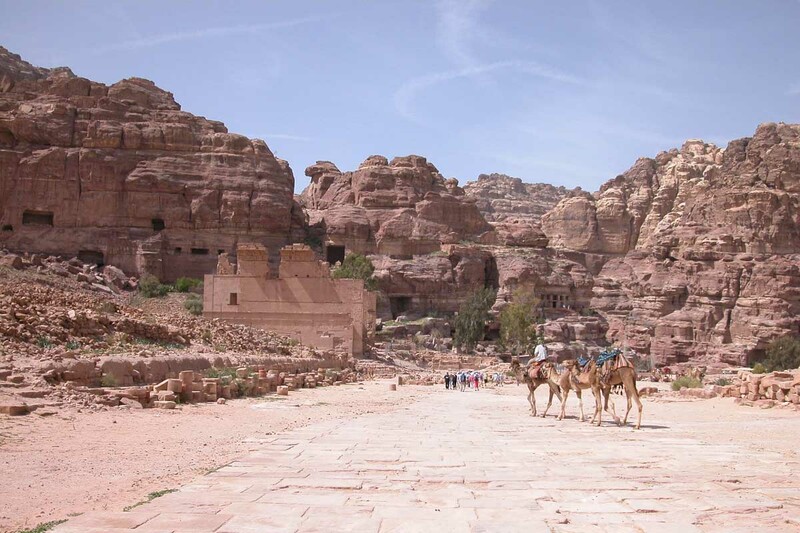 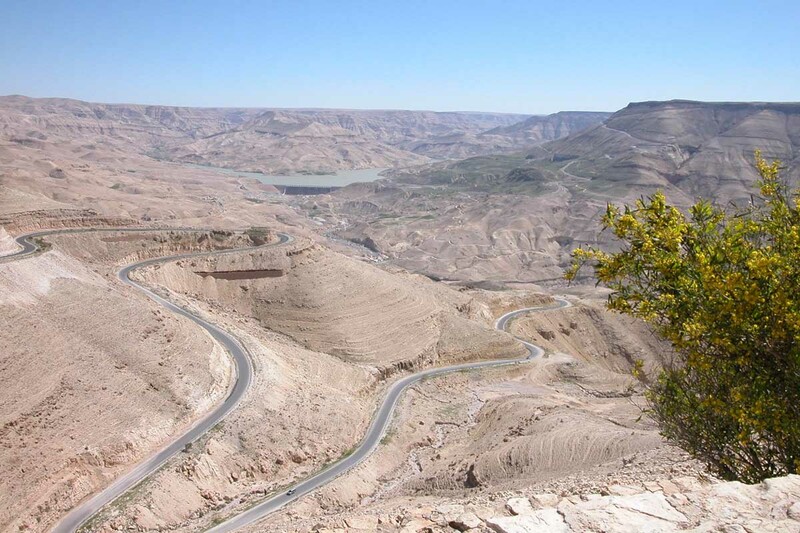 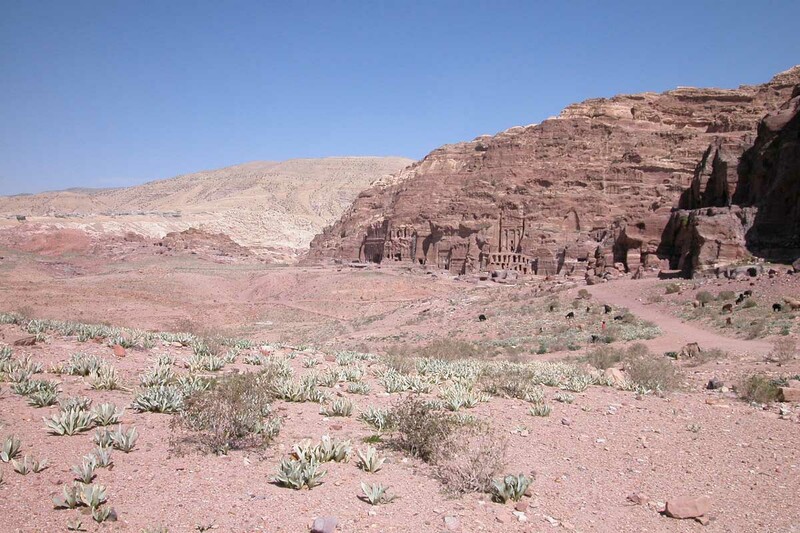 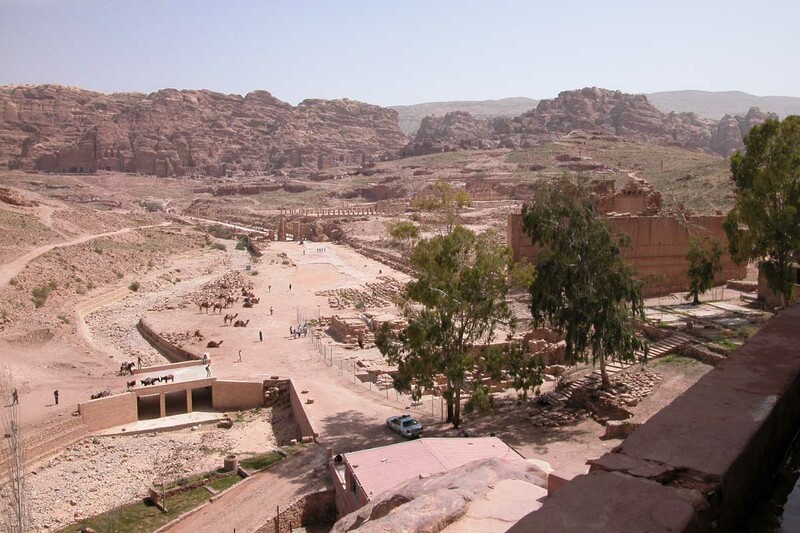 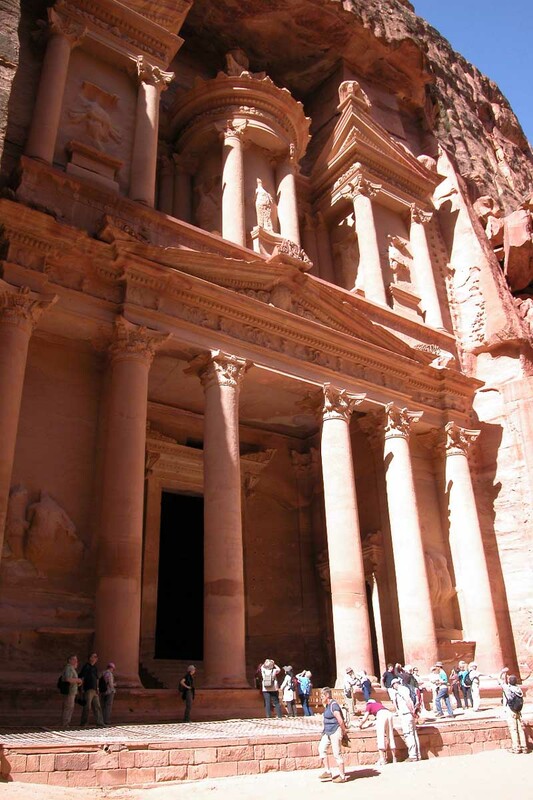 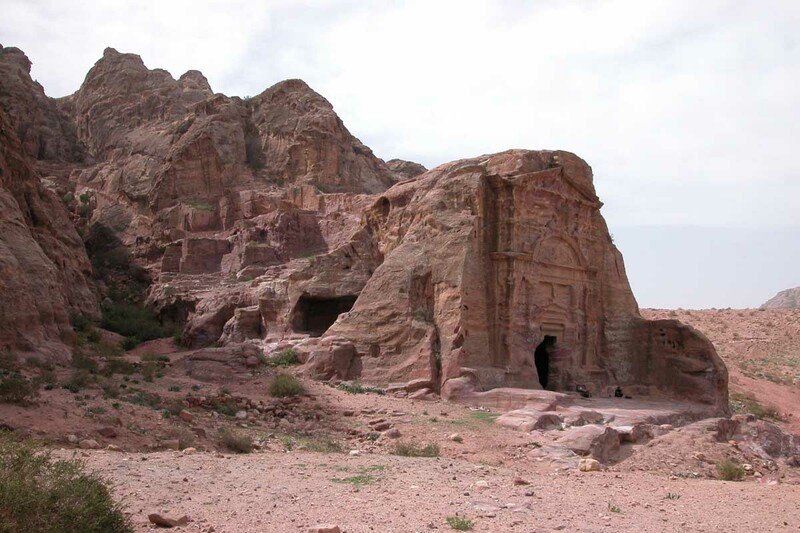 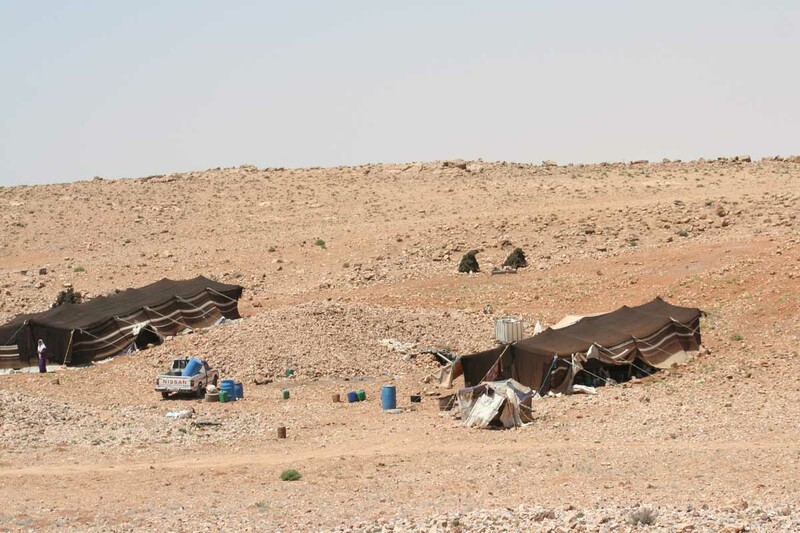 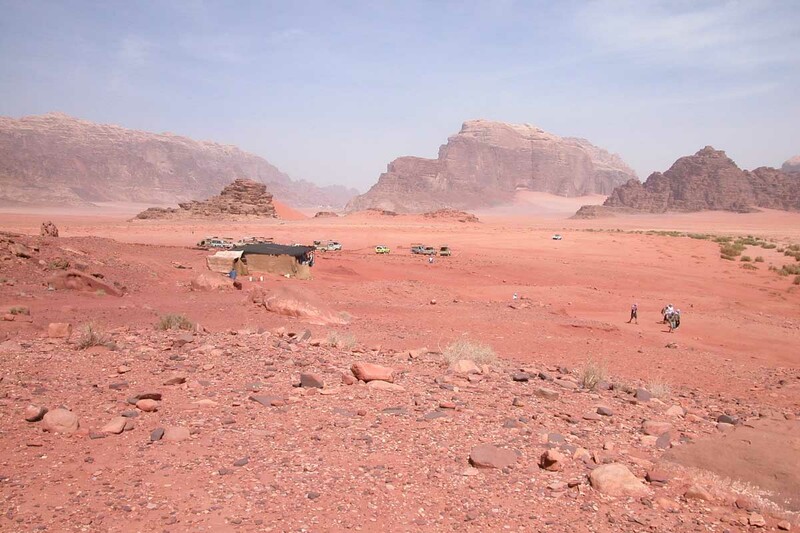 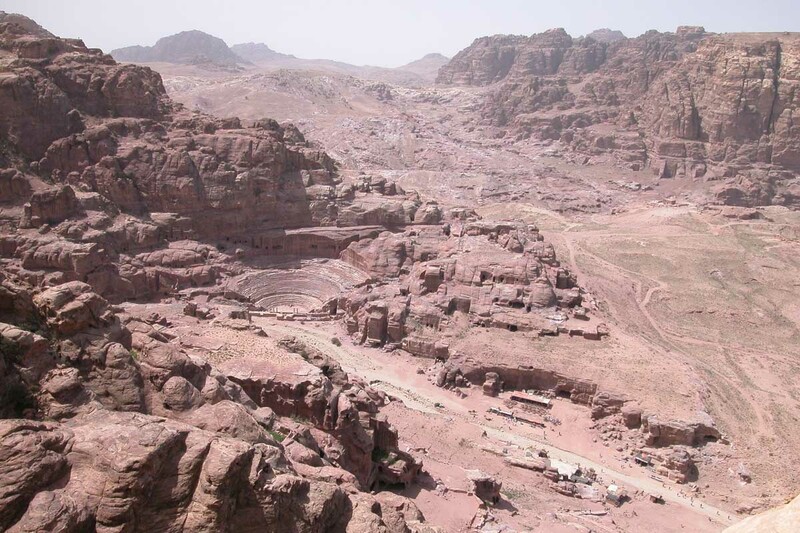 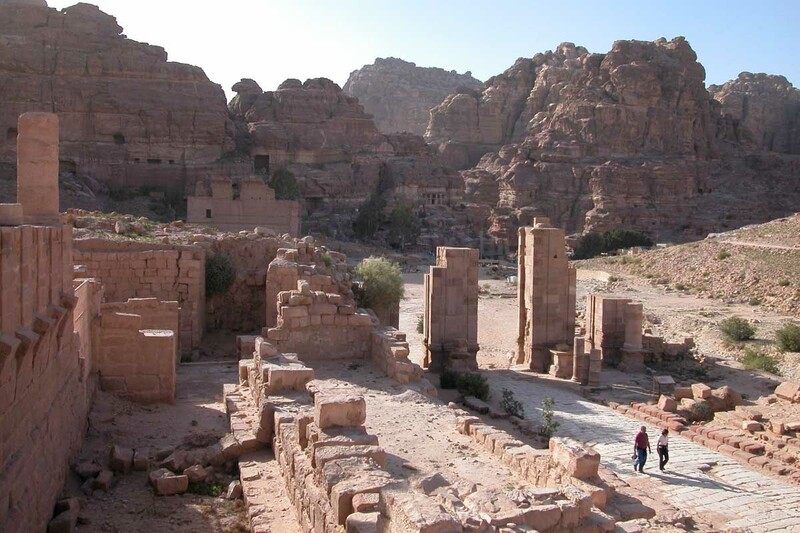 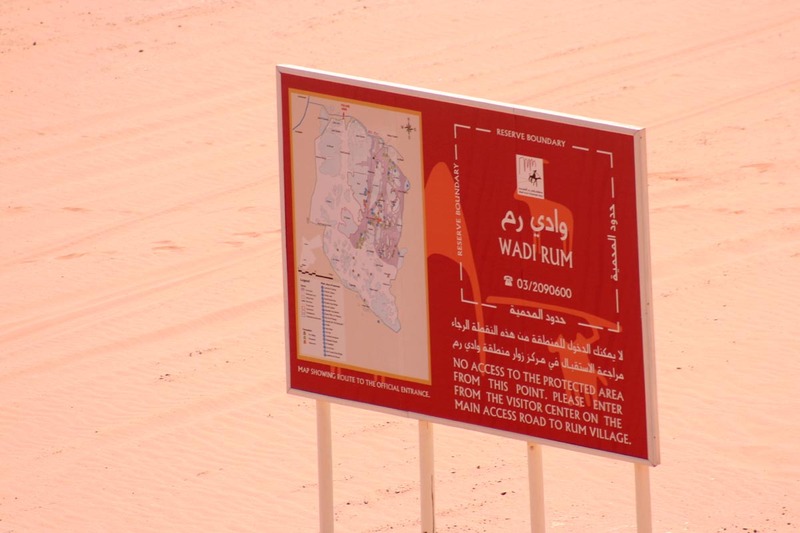 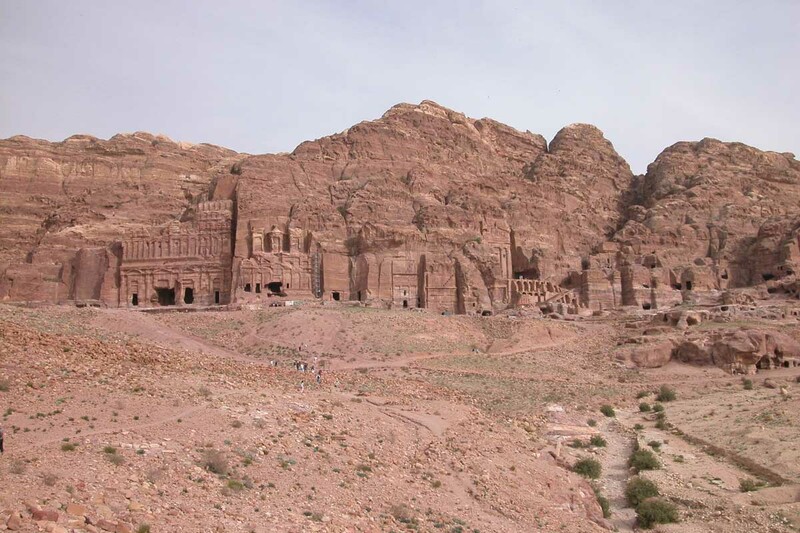 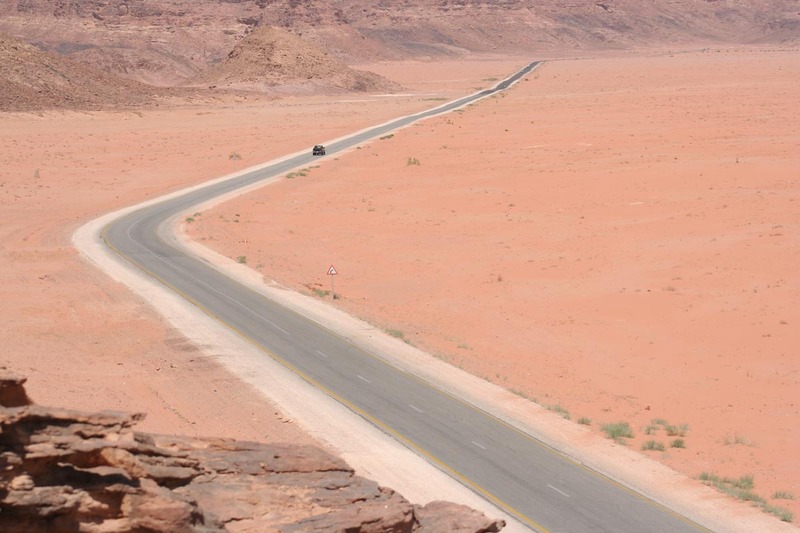 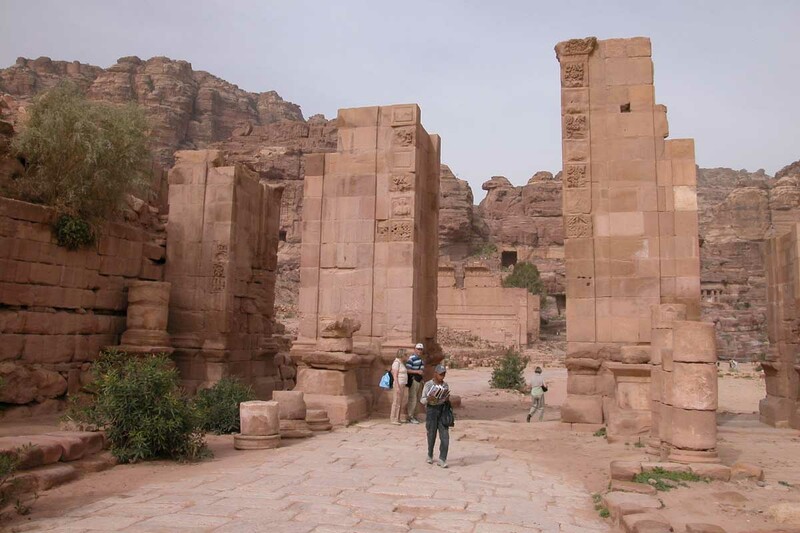 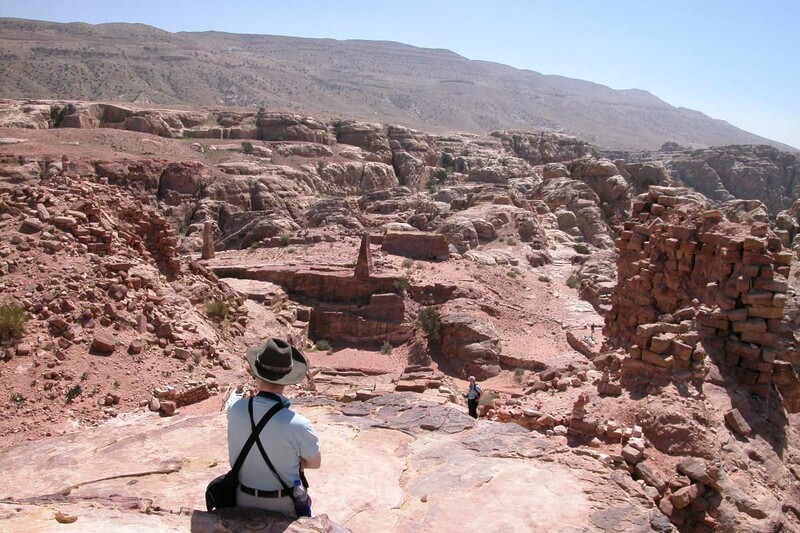 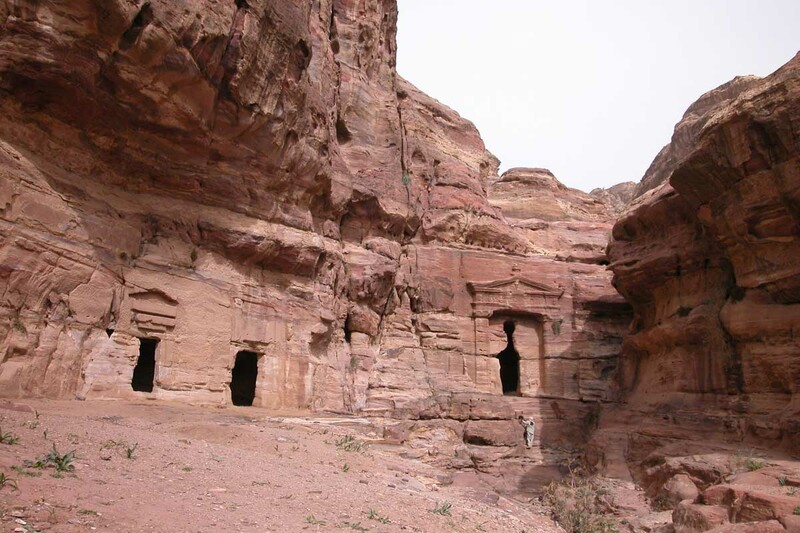 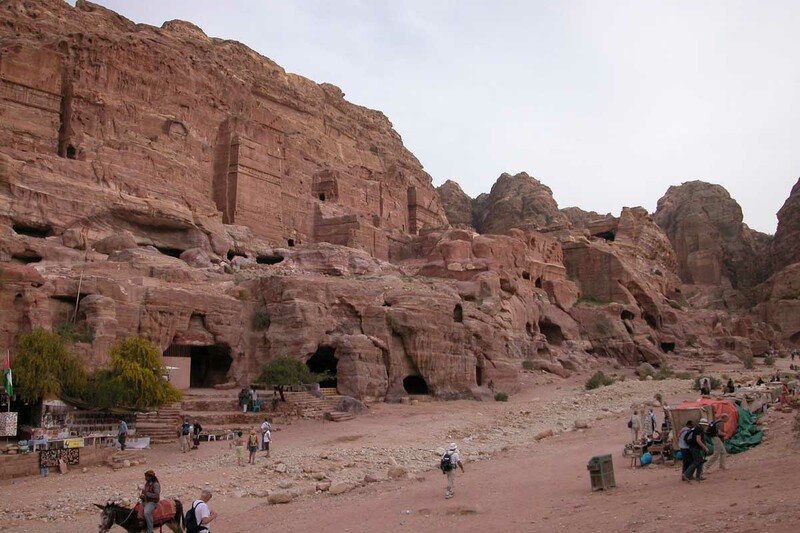 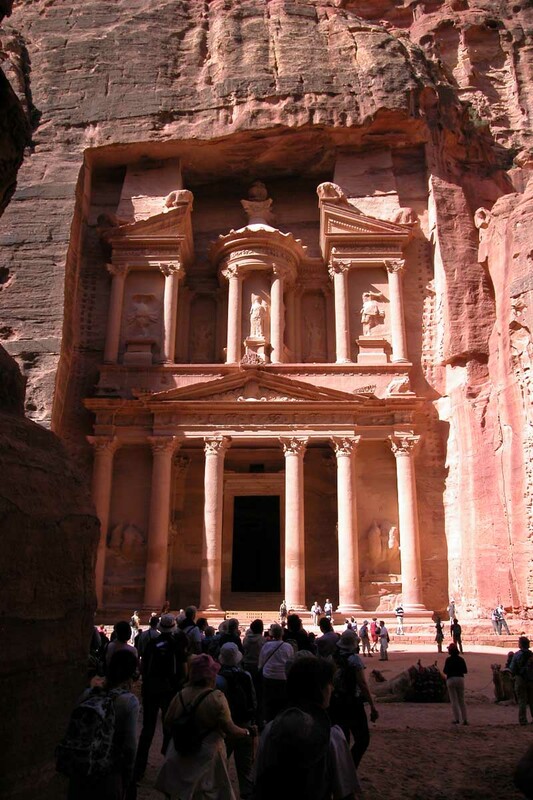 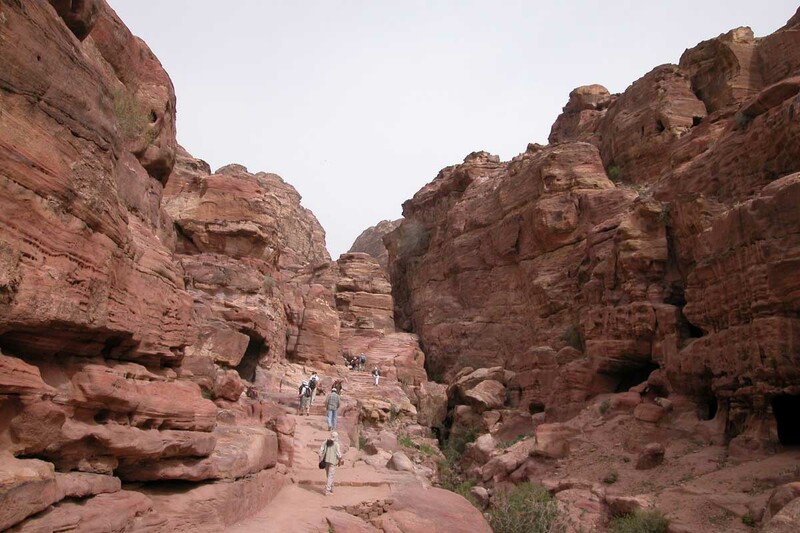 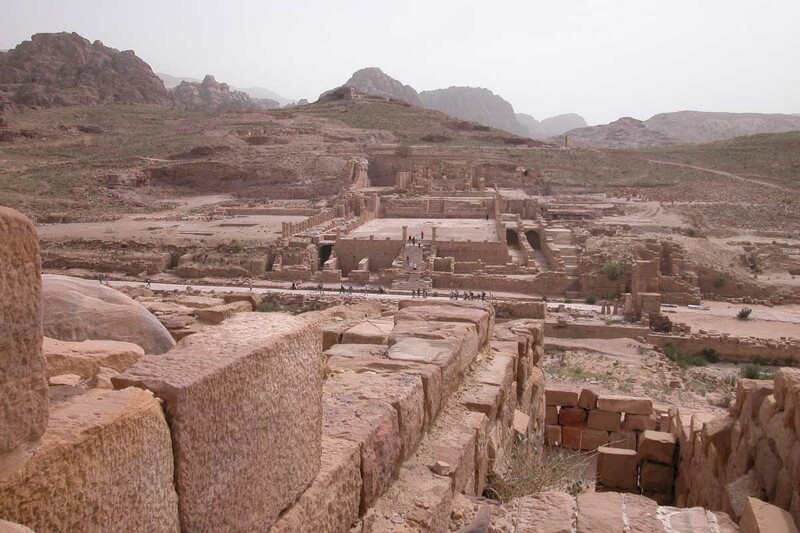 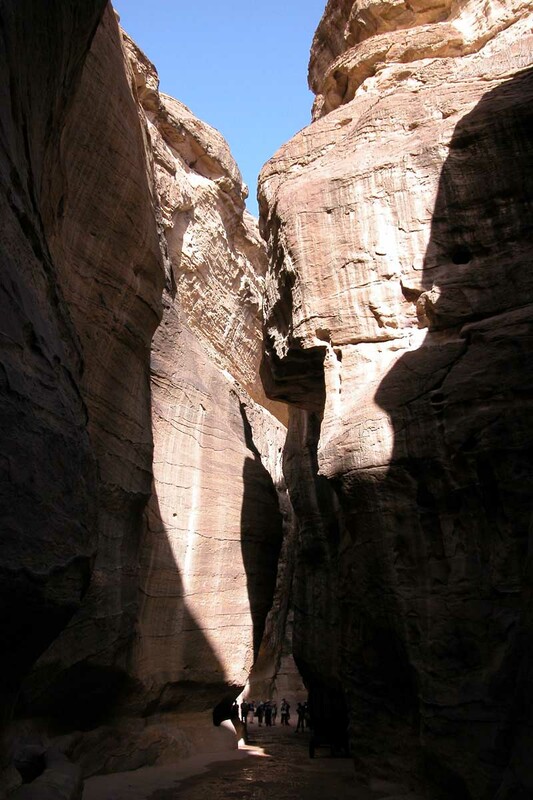 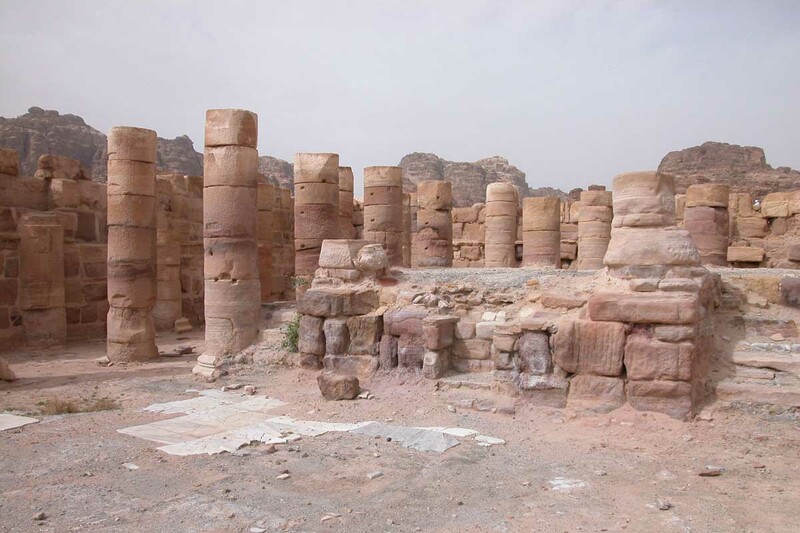 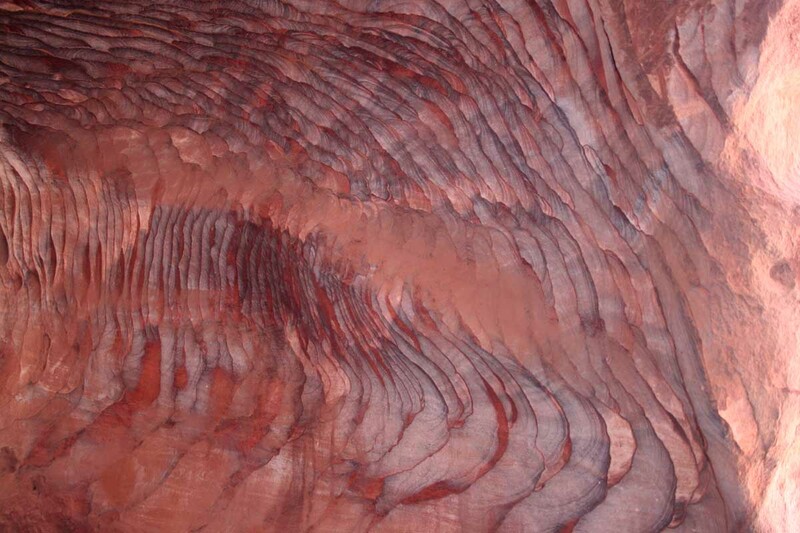 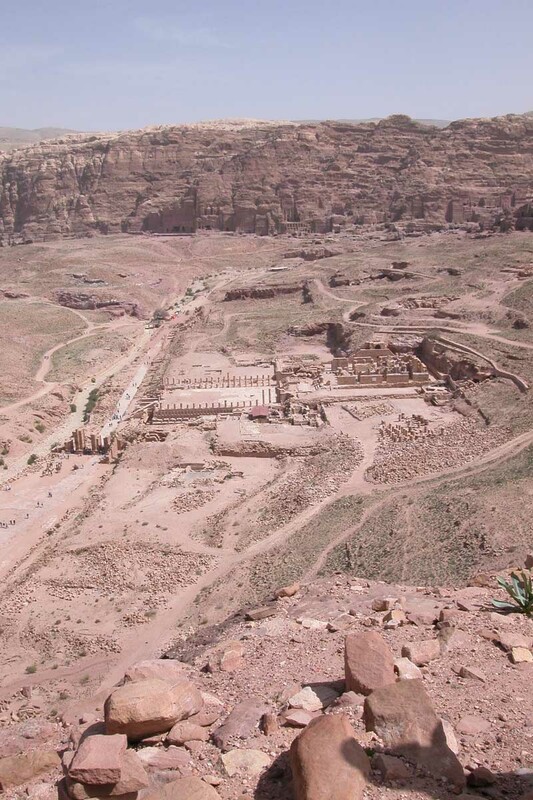 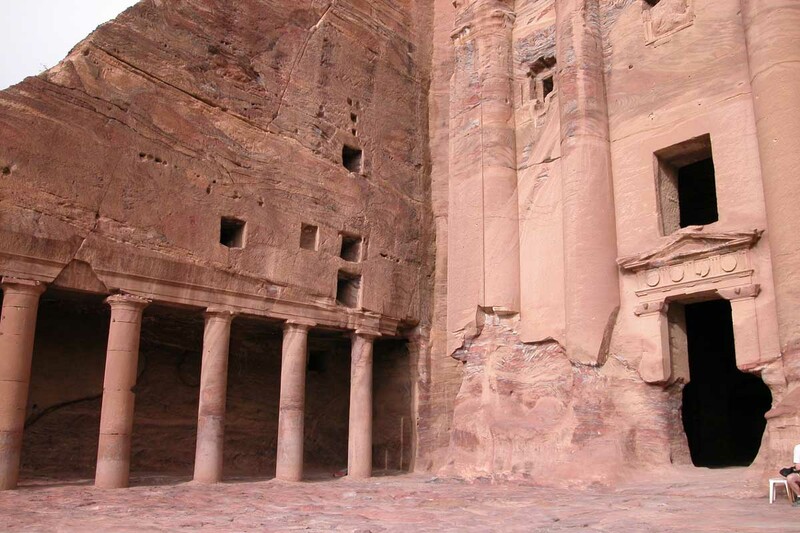 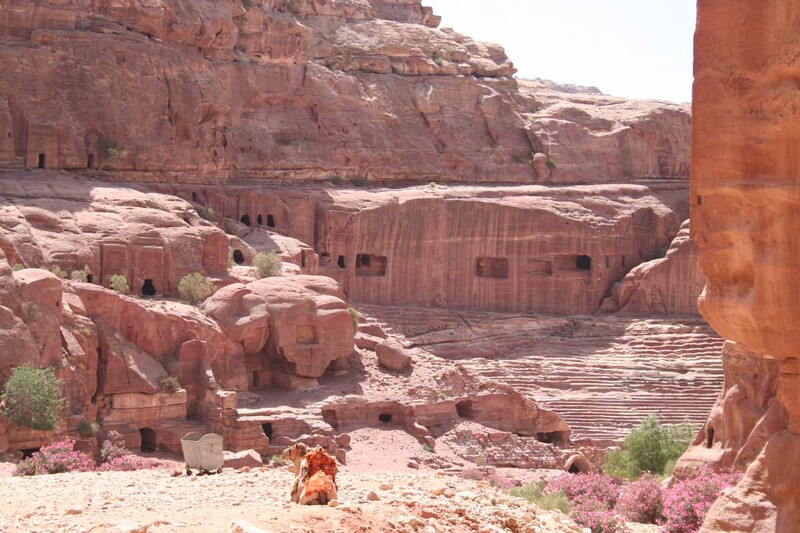 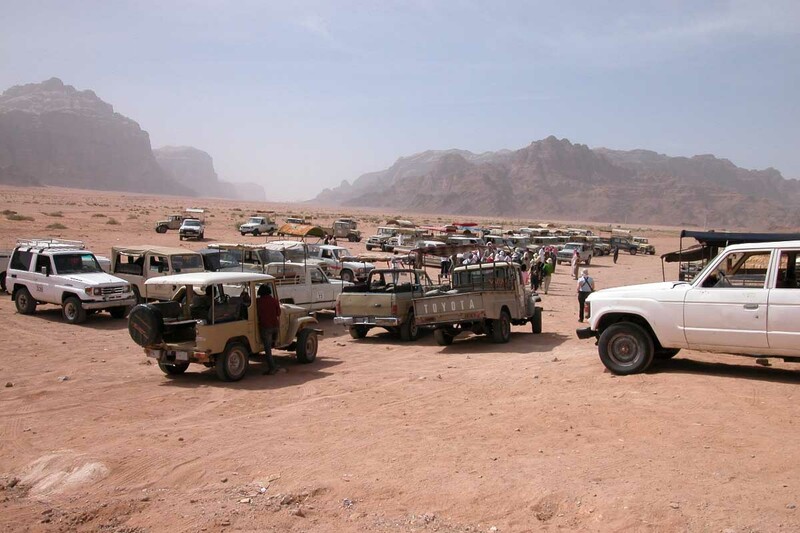 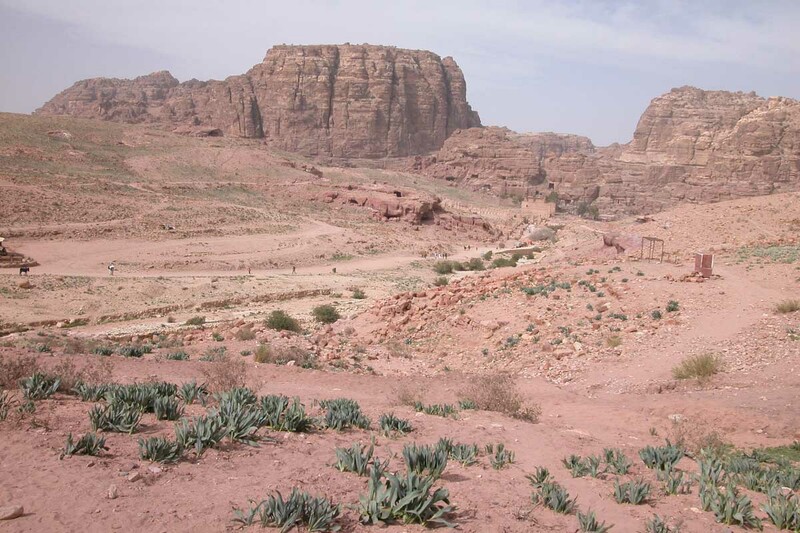 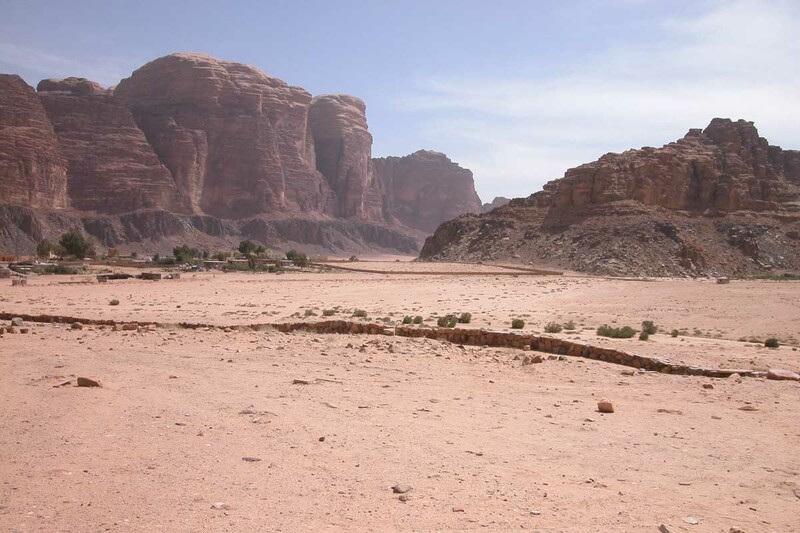 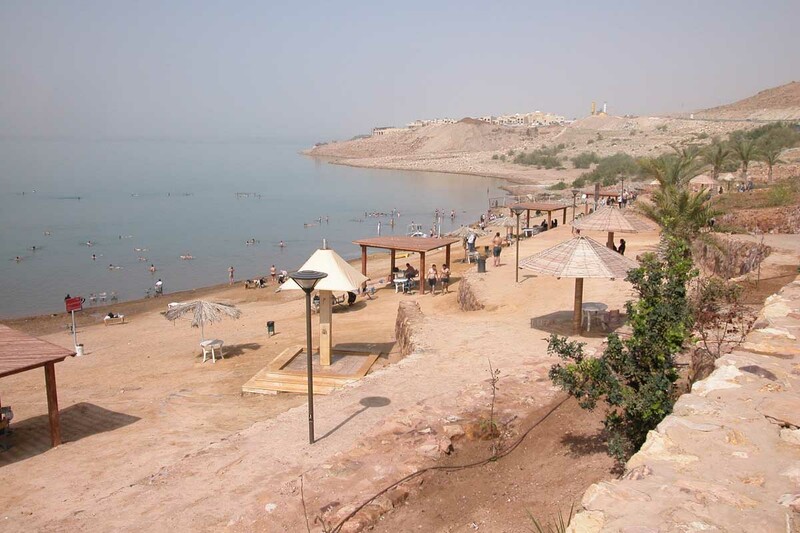 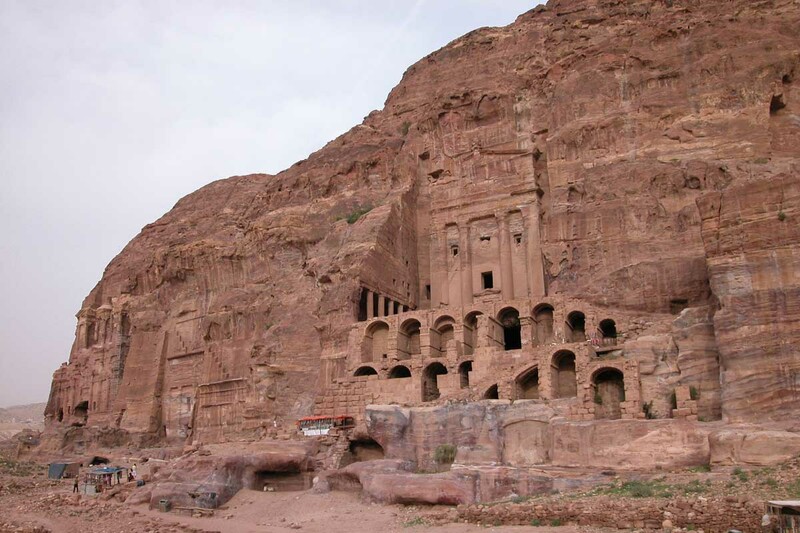 In addition to Amman and Wadi Rum, these photographs include shots of the following places. 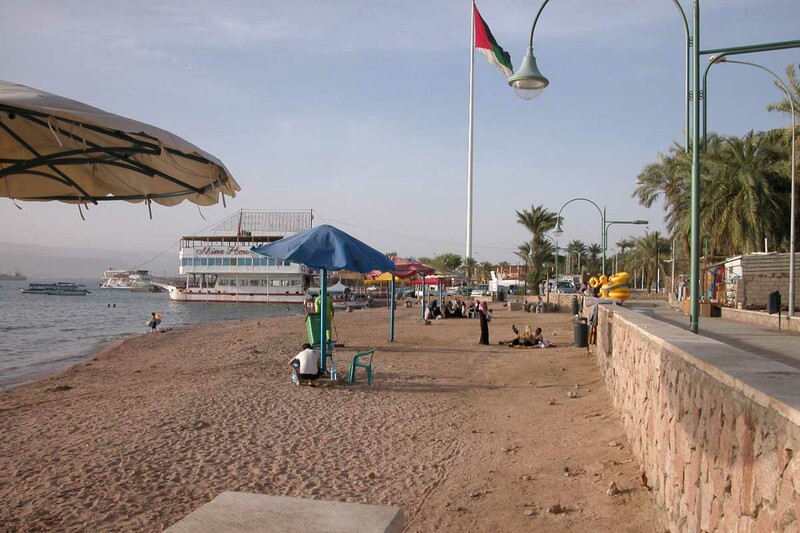 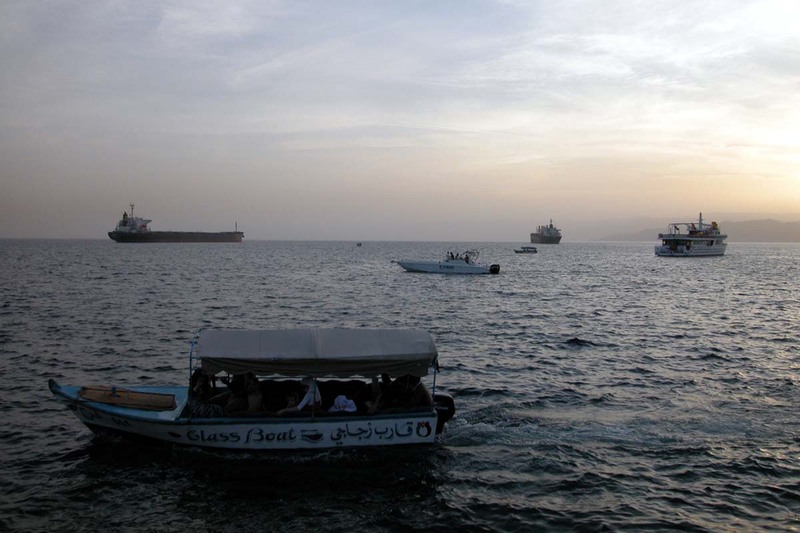 Aqaba, a coastal town in the south of Jordan, well known as a scuba-diving and beach resort and the country’s only sea port. 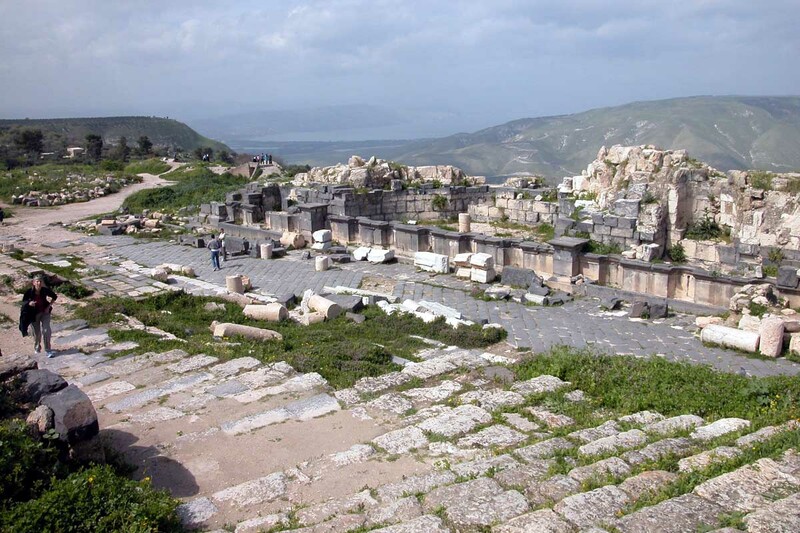 Gadara, an ancient Roman city where, according to the New Testament, Jesus cast out demons, turning them into pigs that then rushed down into the sea and drowned. 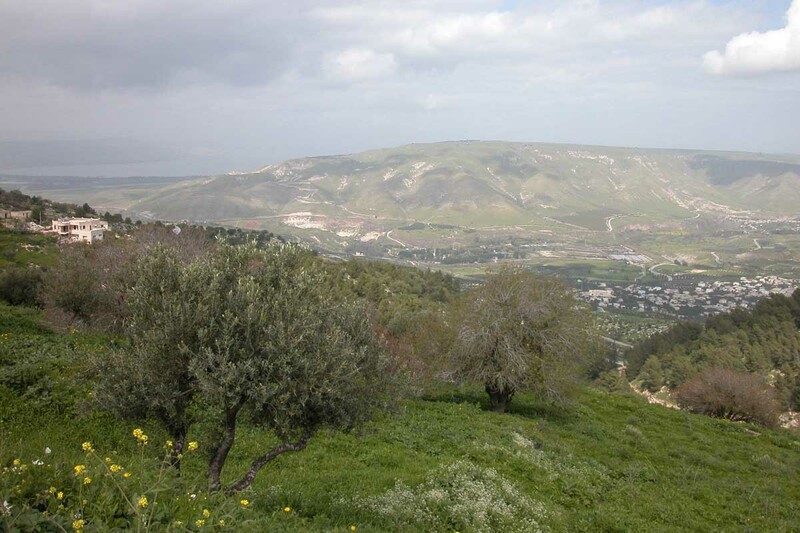 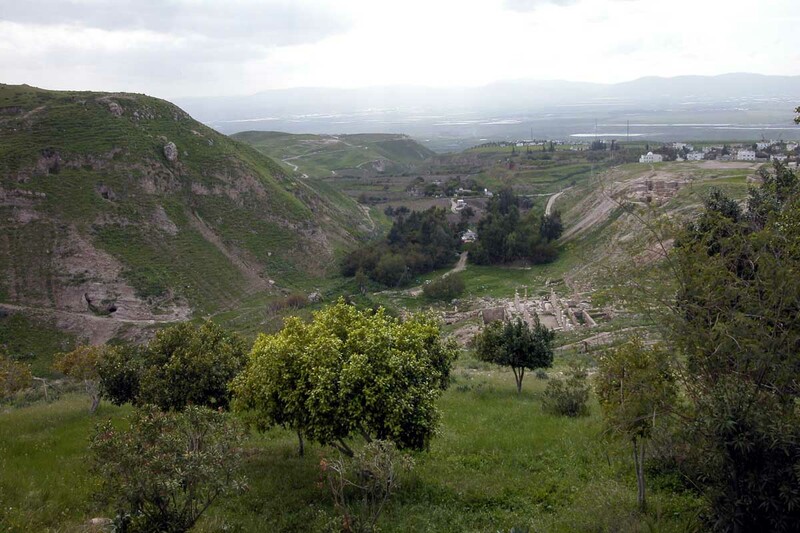 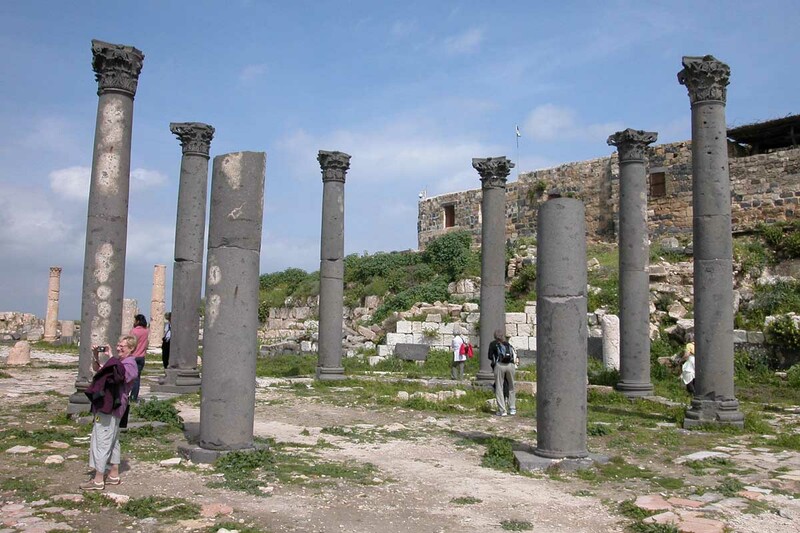 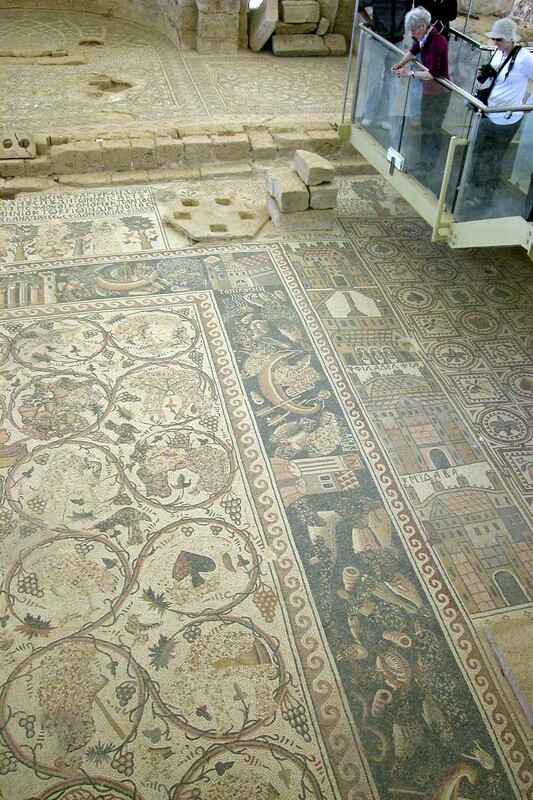 Archaeological excavations began here in 1974 and have uncovered many impressive structures on the site overlooking the Golan Heights and the Sea of Galilee. 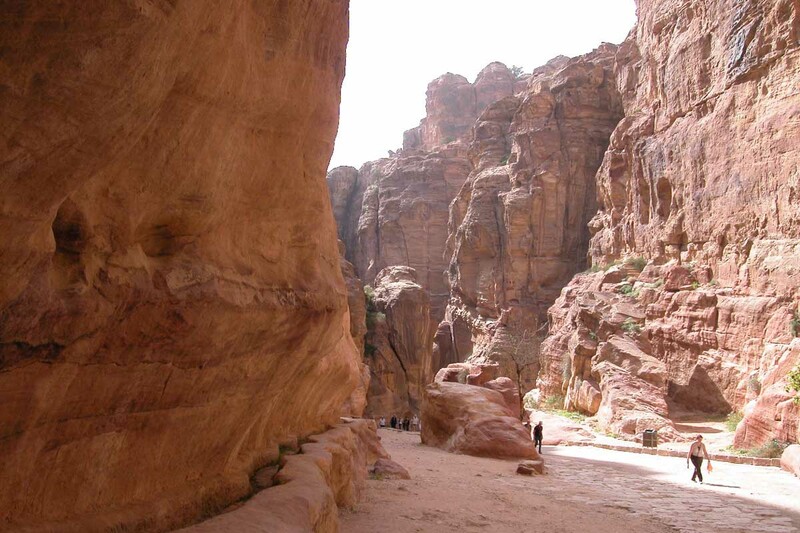 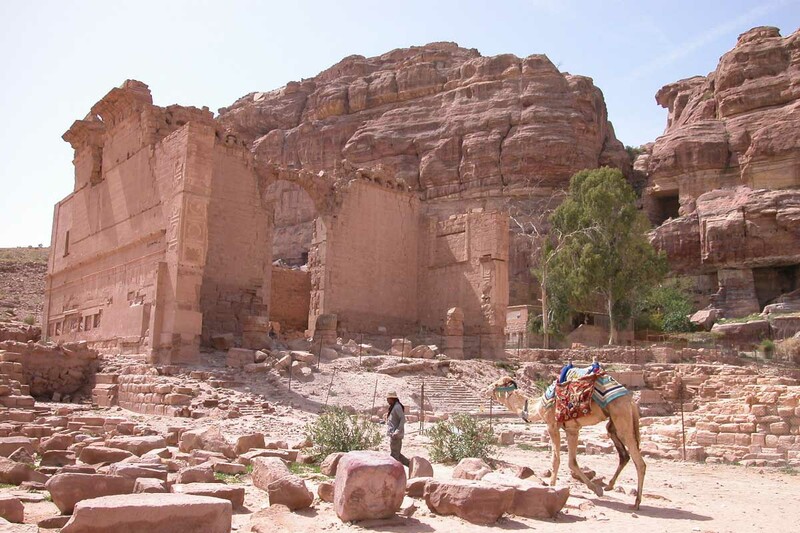 Petra, a historic, archaeological city and UNESCO World Heritage site on the slopes of Mount Hor is famous for its incredible rock-cut architecture and is one of the country’s most visited tourist attractions. 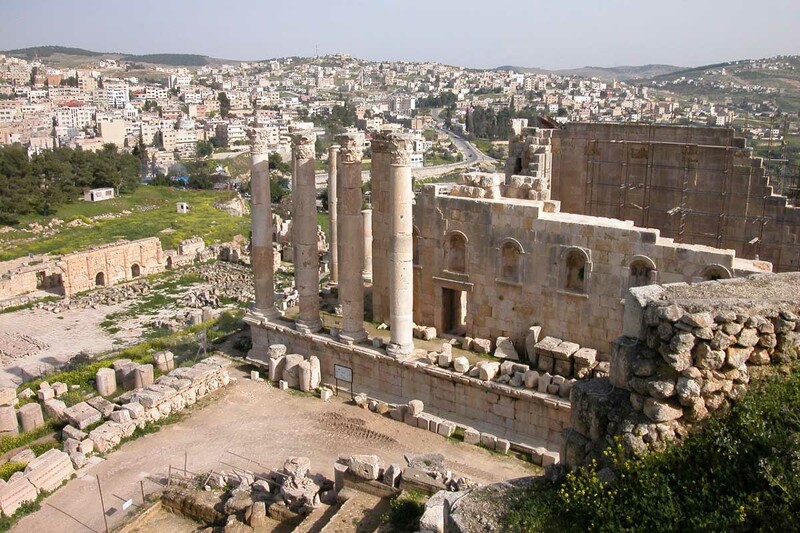 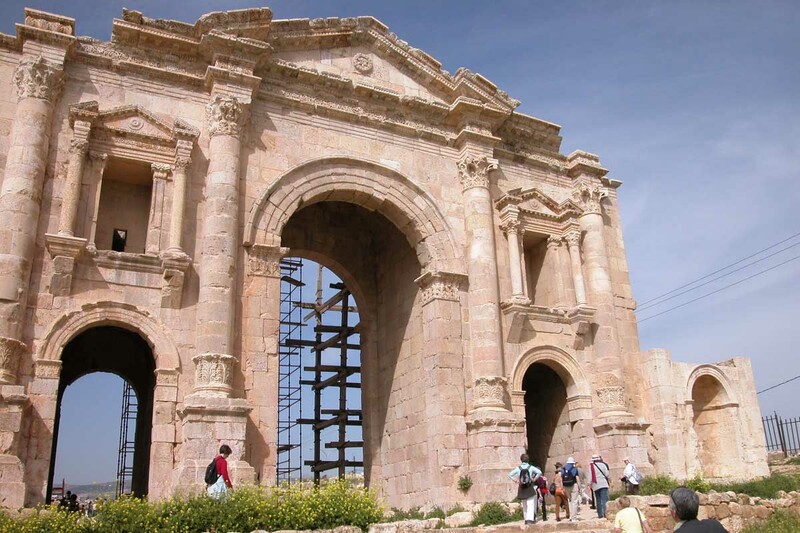 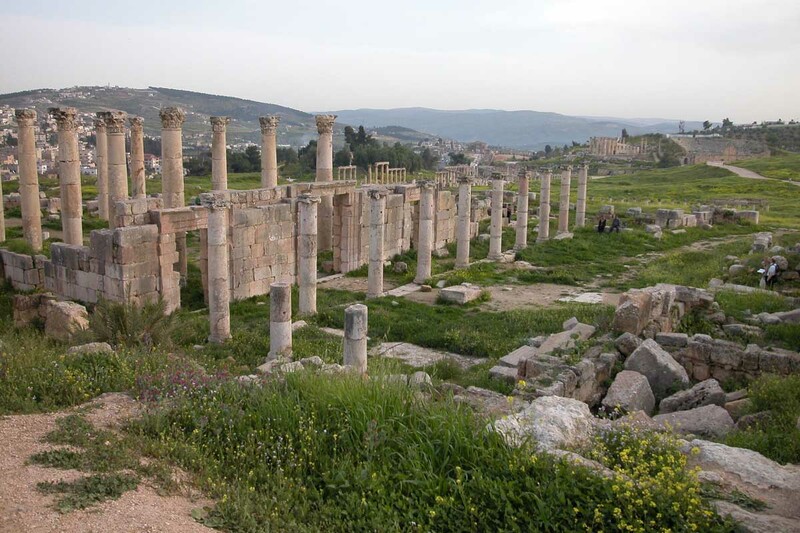 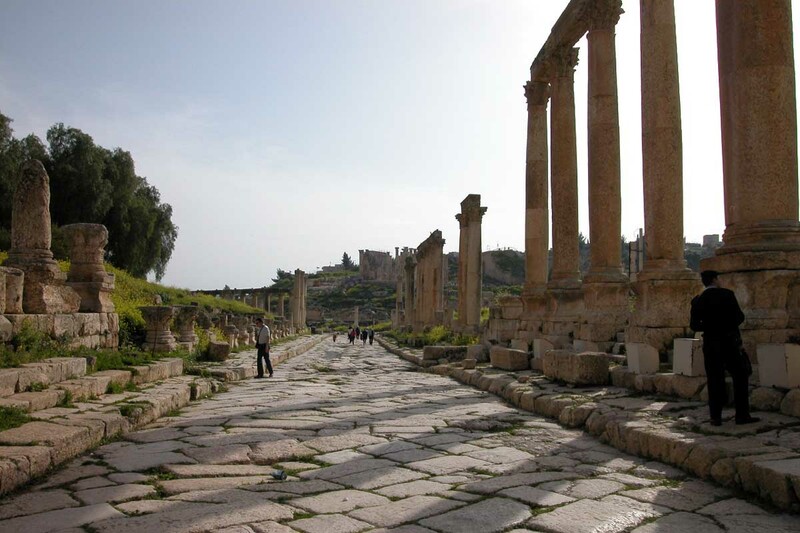 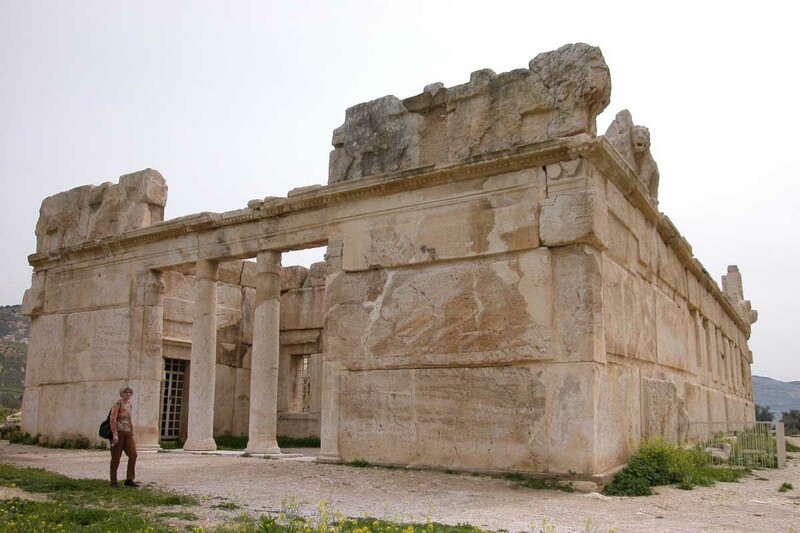 Gersa or Jerash is located around 50 km north of Amman in a peaceful valley in the Gilead mountains. 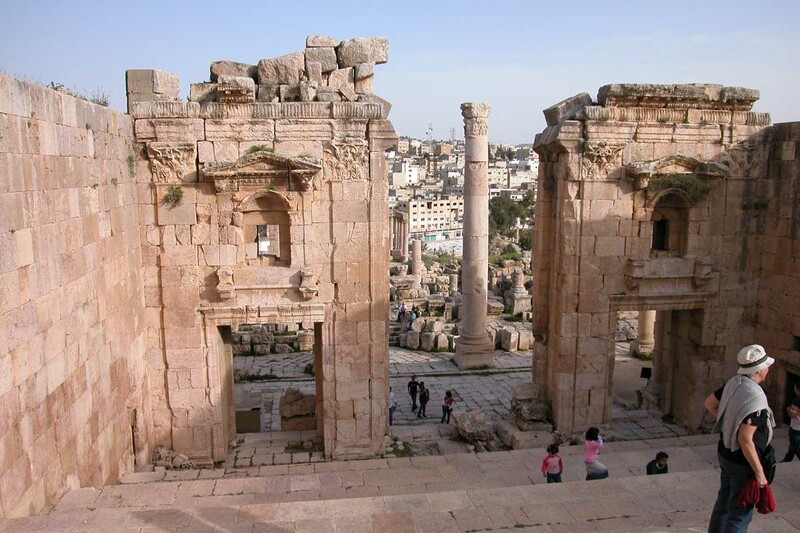 It is the epitome of Imperial Rome, one of the largest and best preserved sites of Roman architecture outside Italy and its structures are exceptionally well kept. 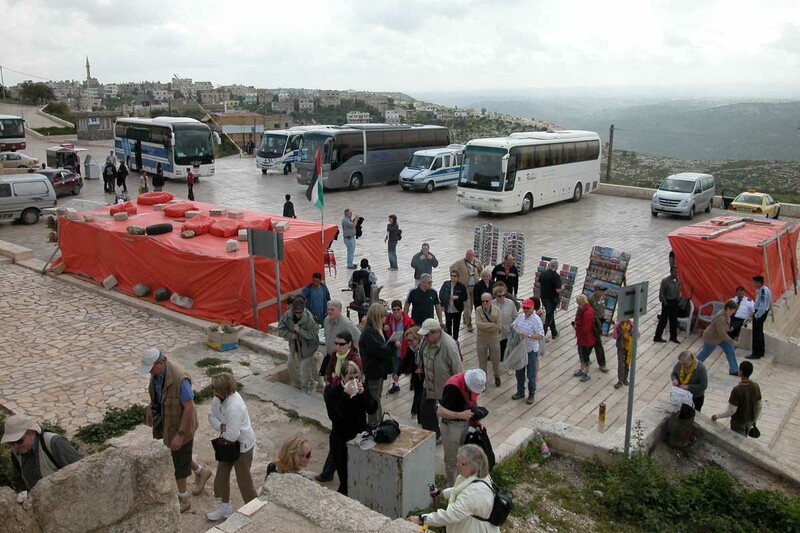 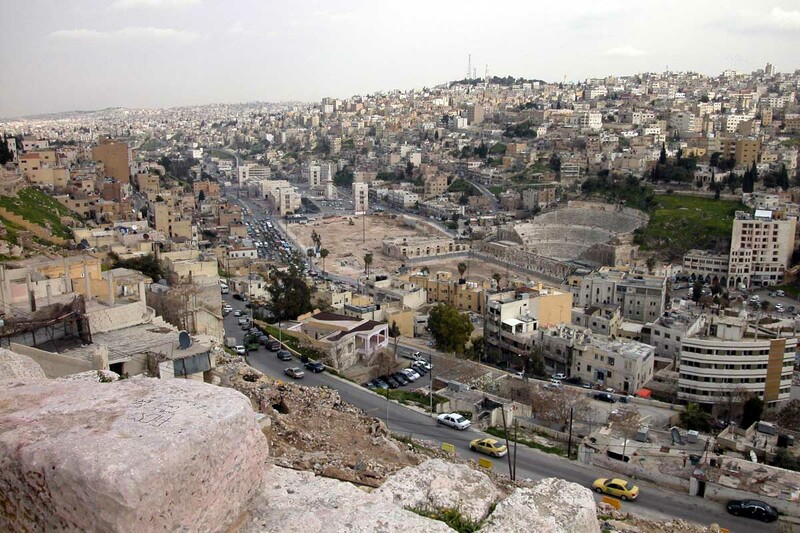 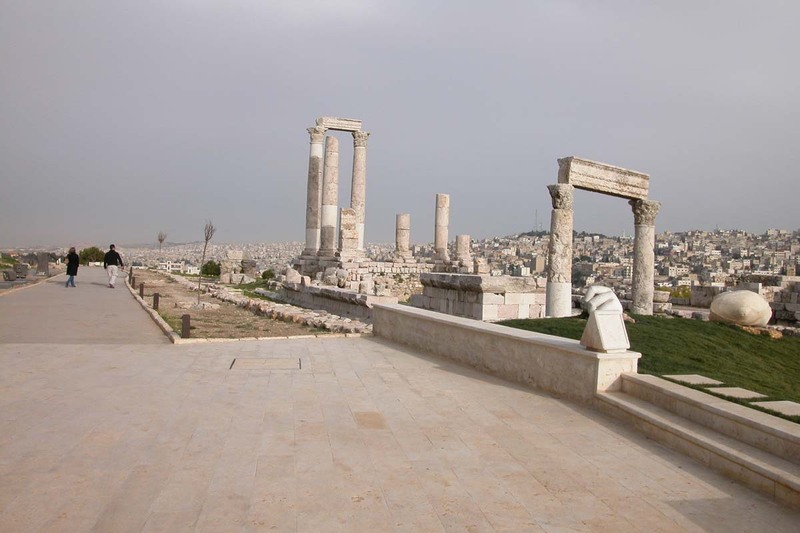 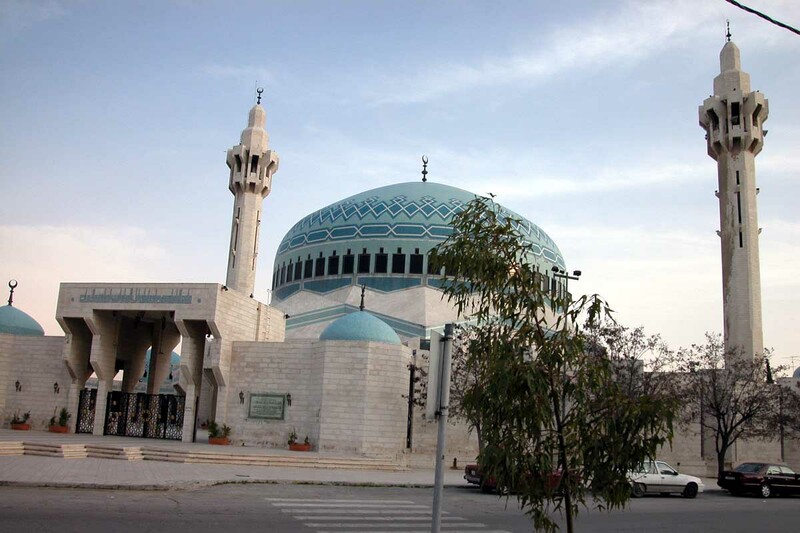 Accommodation in Amman: there are numerous luxury hotels in Amman. 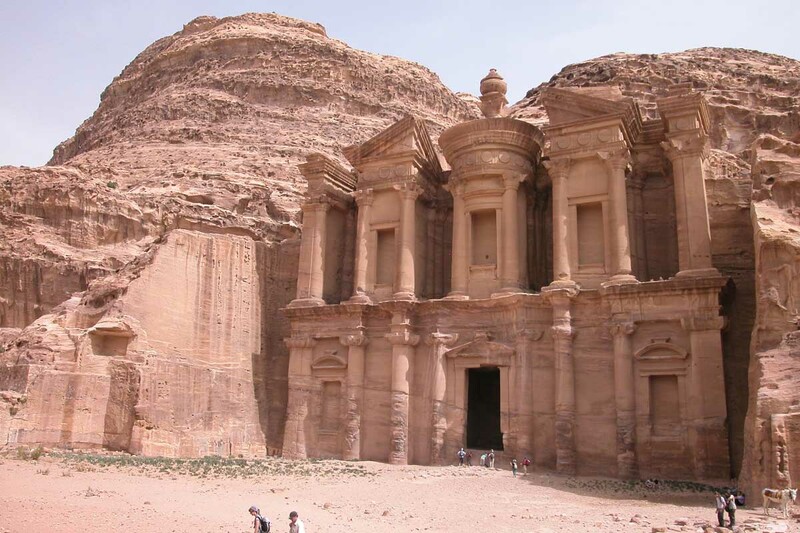 One of the best is the Four Seasons Hotel, a grand, palace-style hotel five minutes from the business and shopping districts, with spacious rooms and discreet, friendly staff. 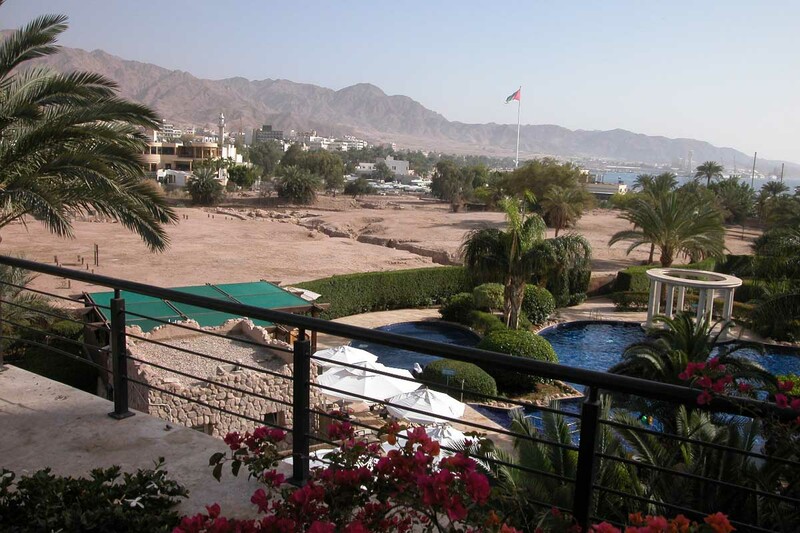 It has a large swimming pool and gym, and welcomes business people and families alike. 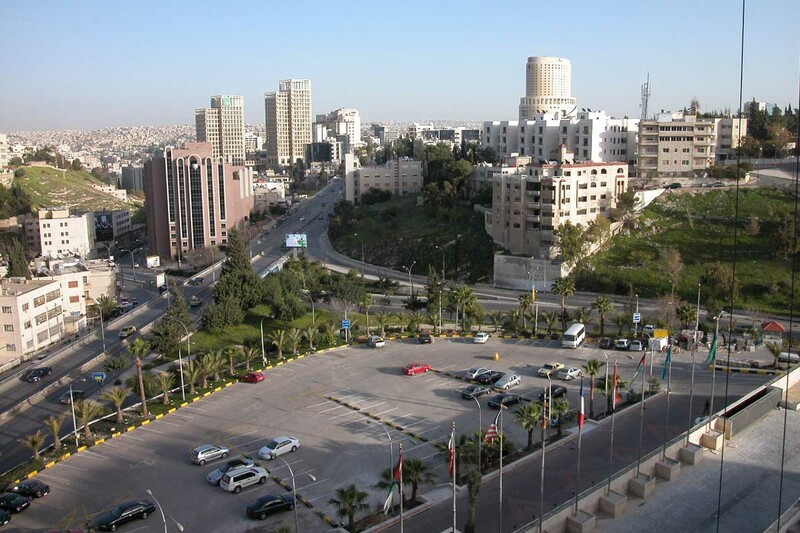 Equally palatial is the Sheraton Amman Al Nabil Hotel, still in the luxury class, and again in the heart of Amman, and with a large indoor and an outdoor pool. 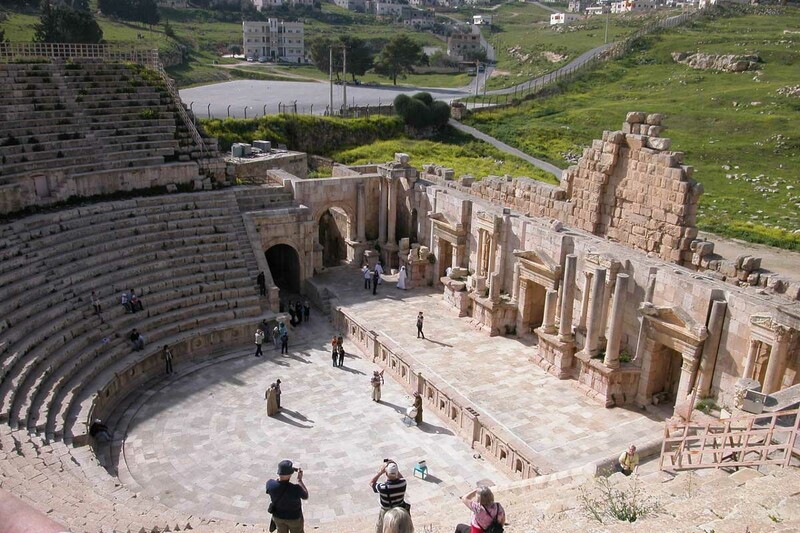 At the other end of the price scale, but still well recommended, is the two star JordanTower in a great location opposite the Roman amphitheatre. 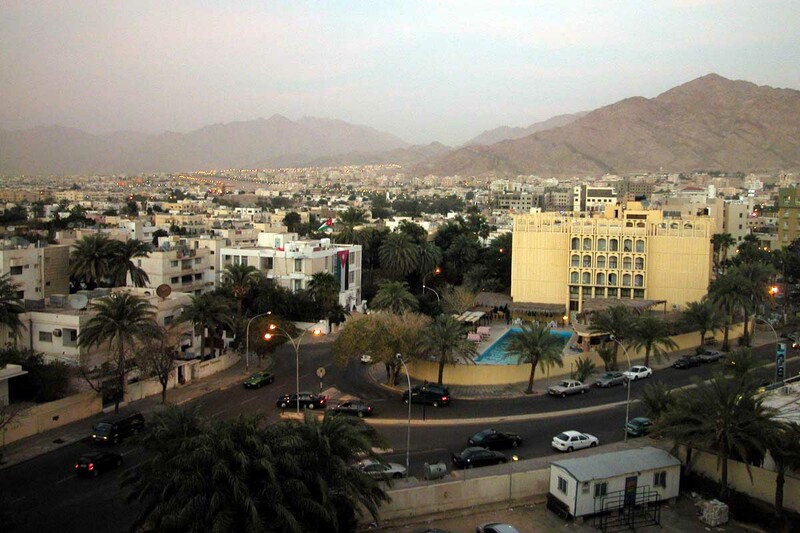 This is a guest house style budget hotel that aspires to being a boutique hotel, and it offers an exciting area of streets and alleyways packed with ethnically and culturally mixed traders and shoppers. 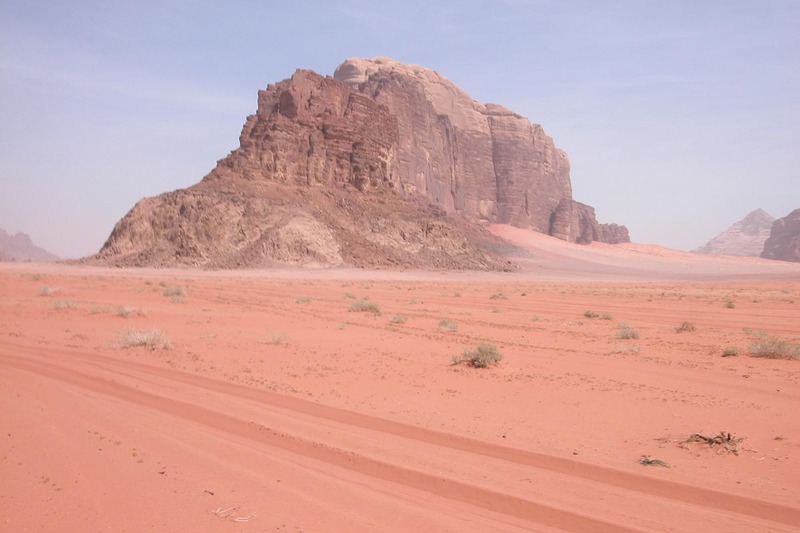 For something in between, there is the 3-star Arab Tower Hotel (Burj al Arab), which will organise trips for you and arrange bicycle and car hire. 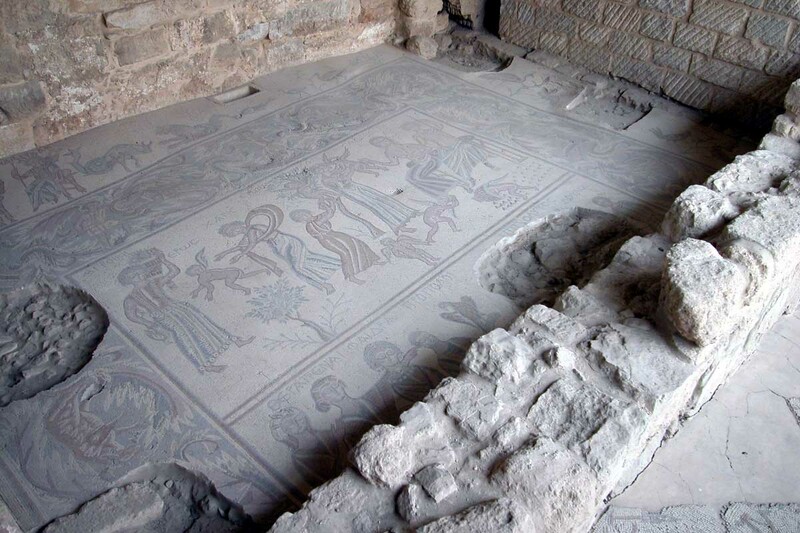 There is no swimming pool, but there is a terrace on the roof for a change from air conditioning.